The powerful trailer for The Hate U Give is here, and it could not be more timely. 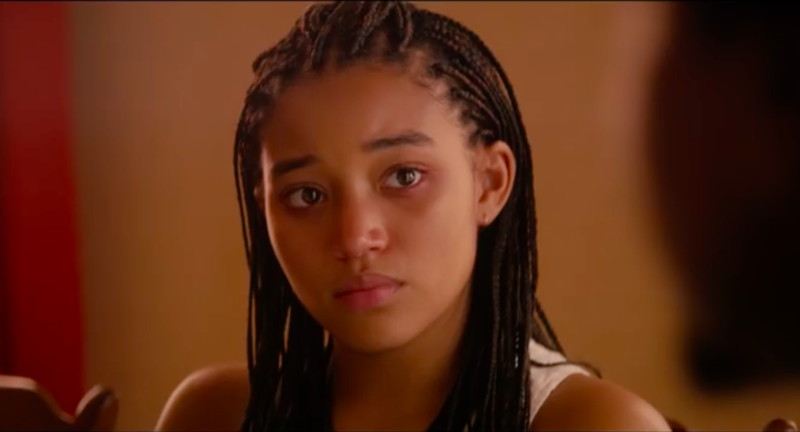 The film, based on the 2017 bestseller by Angie Thomas, stars Amandla Stenberg as a high school student dealing with the tragic death of her friend when he is shot and killed by police. Stenberg shines in the starring role and is surrounding by an A-list supporting cast that includes: Regina Hall, Issa Rae, Common, Anthony Mackie, KJ Apa, and Sabrina Carpenter. While The Hate U Give is based on a YA novel, this content should be required viewing for all ages. YouTuber Kian Lawley originally played the role of Stenberg’s boyfriend, but when a racist video he filmed three or four years came to light earlier this year, Twentieth Century Fox Film took immediate action and fired him. KJ Apa has replaced him in the film. The Hate U Give arrives in theaters on October 19th, 2018.